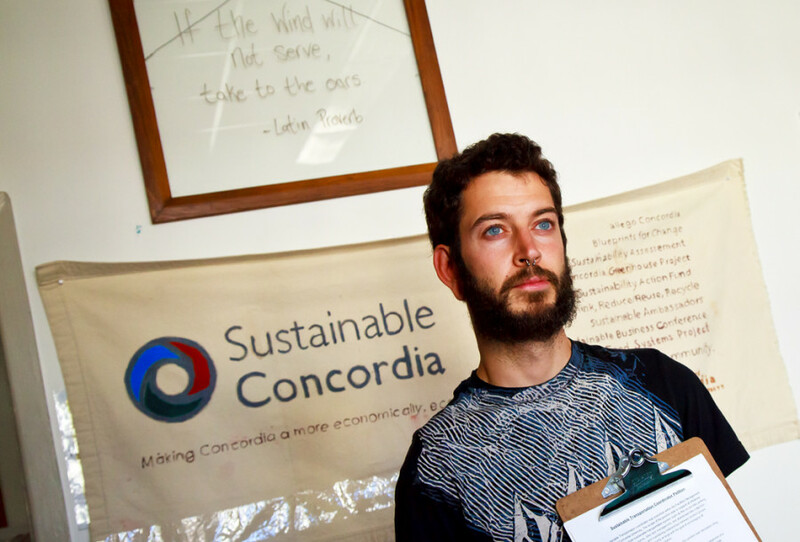 Sustainable Concordia has amassed around 100 signatures on a petition calling for the reinstatement of the sustainable transportation coordinator—a position that was cut by the university the day after someone had been hired for it. “If we really want to have sustainable universities where people are not in fear of [losing] their jobs, where sustainability is prioritized, we really need to acknowledge the larger economic context [of austerity],” explained Michael Finck, the group’s external coordinator. The petition falls into a larger push against the austerity measures taken by the provincial government, specifically in the education sector. Concordia was recently hit with budget cuts and plans to shave $15.7 million off its operating costs with a “voluntary departure program.” The program will allow staff members to leave their posts and receive a one-year severance package for doing so. “We’ve planned for 180 departures and we know that some number of those—maybe 20, 25, 30—will be in positions of something that is critical. You can’t do without that, so we’ll have to re-hire in those roles,” said Concordia president Alan Shepard of the cuts. “You’re going to replace those 25 to 30 critical positions with new people who you’re going to pay less and who don’t really know what’s going on,” said Finck of the program. Finck said that the effects of austerity have been felt in the philosophy department, where teaching assistant positions have been cut. “Profs can’t manage the extra workload without the TAs, so then they cut assignments, so you can get philosophy students who are in their first year and not really writing papers,” he said. Sustainable Concordia was contacted by another sustainability initiative affected by the austerity measures. The “eco-neighbourhood” program of Montreal’s Ville-Marie borough is circulating a pre-formatted letter to Montreal mayor Denis Coderre asking him to consider the repercussions of budget cuts before implementing austerity measures for the program. The Commission scolaire de Montréal and the English Montreal School Board have both declined to comply with the provincial government’s austerity measures, opting to run deficits instead of cutting deeper into spending. “[They’ve] both said, ‘No, we’re going to run deficits,’ and ‘No, we can’t cut meal programs, we can’t cut homework programs,’ so really [they’re] seeing this from a bigger point of view,” Finck explained.